Do you remember the story Bill Withers tells on this record about 'Grandma's Hands'? When he was a kid, he was really close to his grandma. He talks about one of those churches she used to attend and this was a proper happy church where his grandma used to smack everything with a tambourine! Singing something that you really believe is incredible. Not everyone in a gospel choir has that faith – I don't have that faith in the way they do. I have faith in something – not sure what it is – but being around a few gospel choirs, there's a joy in it! And because of this belief. I did a couple of tunes with a choir on it – one of which was 'Cry For Help' in 1991. We recorded it in LA with what was the best gospel choir in the world at the time and hearing them sing the words made me believe them more even though I wrote the bloody words. 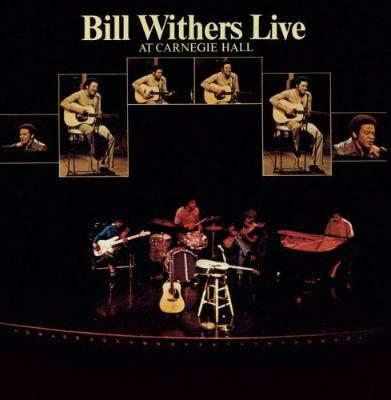 But listening to Bill Withers talk about being a kid and going to those churches as a kid…[shakes head in disbelief] - he's a good storyteller and it's a great record. I find it a bit odd that if Bill Withers walked down any main street in the world, I would challenge anyone to recognise him. If you sang anyone of his songs to anybody from a group of teenagers up to a grandma, they would know it instantly. Can I hold a note as well as Bill Withers? No one can do that! It's physically impossible. He must have been drinking something very special at that time in his life. There's a bunch of songs that he wrote and he nailed a lot of emotion in those songs. 'Lean On Me' is often the first song people play on the piano when they start – it's all really gifted song writing, distilling things down to a simple thing.